The Laird Telemedia AJ-PWR9-05 PowerTap to Dual AJA Type Micro-Con-X 2-Pin Power Cable allows you to connect AJA Mini-Converter Circular Twist Lock to power devices featuring the Anton Bauer PowerTap connector. 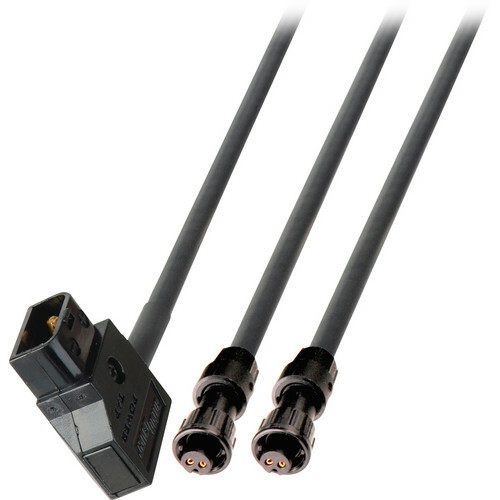 It features quality LEMO connectors and a flexible shielded cable. It can be connected to LEMO connections found on Panavision Genesis, Sony F23/35/65, and Arri camera systems. The cable is 100% precision tested with advanced diagnostic tools. This cable works with 12 VDC converters, not 5 VDC converters.